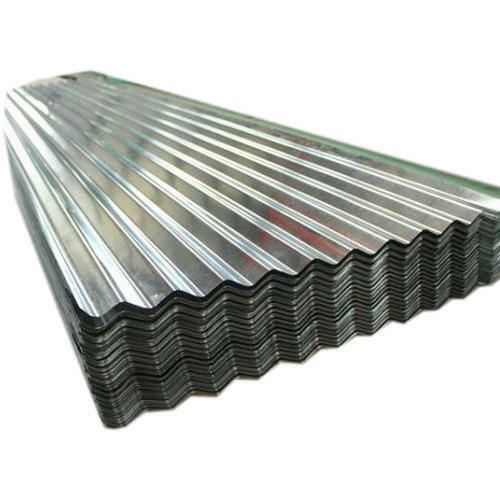 We are offering Galvanized Corrugated Sheets to our client.Application:• Agriculture Industries : Grain Silos, Sprayers, Ghamellas, Pans, Feeding Troughs, etc. • Construction Industries : Roofing, Side Walls, Partitions, Panels, Valley Gutters, Louvers, False Ceilings, Partition Walls and Ducks, Rolling Shutters, Highway Bumpers, Slotted Angles, Paint-Coated Products. • Domestic Industries : Trunks, ice Boxes, Household Machines, Tubs, Pails, Buckets, Storage Bins, Water Tanks, Washing Machines, Bathroom Doors, etc. • Electrical Appliances Industries : Air-conditioners, Coolers, Refrigerators, Freezers, Electrical Panels, Decorative Lamps.